TV ► Better Call Saul "it's never holding me back again"
It premiered on AMC earlier tonight and episode 2 drops tomorrow. i liked the pilot, seems like a good show so far. *doesn't know whether or not to continue posting here or in the Breaking Bad thread? I dunno about anyone else, but I could go for some Cinnabons. no, its a unique thread for a unique show. it'd be like refraining from posting about agents of shield in it's thread because the MCU one is still open. I never got around to finishing breaking bad, so at least I won't be comparing it to anything and just enjoy the show for what it is. So far, it's merited a second episode watch from me. Excited to see where this season goes! episode #2 was very good i thought, ramped up quite a bit from the slow series premiere and tuco appearing was just perfect. Re: Better Call Saul "i am the biznatch"
um is no one watching this show? liking it more than walking dead so far, everything from the acting to music is perfect. The opening of the series has definitely been the highlight of it for me. Seeing where Saul ends up post Walter White... man. It's no Breaking Bad but Bob Odenkirk is definitely doing a great job of balancing a comedic and dramatic role and I'm enjoying it. Not sure how much I'm loving the amount of character tie ins. I already knew about Mike and that made sense, since Saul already knows him in BB and it just explains how Saul got hooked up with him. But, Tuco... felt a little... strained. Still great though, definitely going to be keeping up week to week. 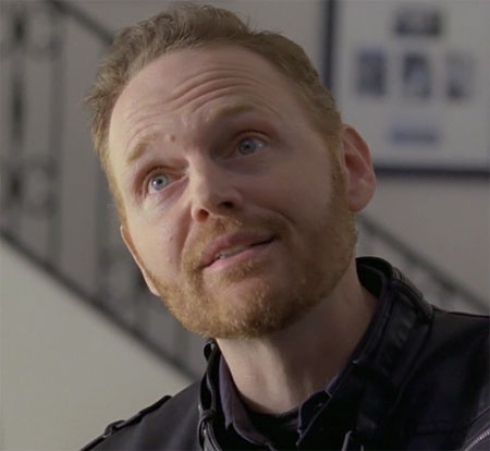 Re: Better Call Saul "gingers beware"
It's gonna be a struggle waiting for new Better Call Saul episodes. This latest episode was Breaking Bad levels of goodness. Can't wait to see what the rest of the season has in store. I feel like that was relying a little too heavily on BrBa. Throw backs aren't bad and I like little nods to the fact they're in the same universe but it'll become quite annoying if we're going to have cameos from virtually everyone except Pinkman and the Whites. Like I said before, Mike is fine due to their inevitable partnership (also Mike is the best) but let's not go through everyone lol. agreed. the whole time watching episode #1 for some reason i was thinking one of the ginger twins was that red-headed guy that works for saul but maybe i was trying too hard to make a connection. Definitely a different guy, luckily. I expect we'll see him and/or Huell at some point, though. Spoiler tag which, the picture? Why? It's not a spoiler and it's not large enough to bother, even if it were large the forums automatically resize pictures now so nothing can ever stretch a page. Re: Better Call Saul "in Mike we trust"
That last scene with Chuck racing to get the Albuquerque Journal was some amazing cinematography. From Chuck's perspective you could really feel how distraught the entire ordeal is making him feel. The old lady's perspective was an ingenious way to show how, to someone viewing from the outside in, ridiculous it all looks. I don't mind if the episodes are a little slow because I know they're setting plot points that will eventually pay off. I have to admit, I'm liking Better Call Saul way more than I thought I would. The opening for this weeks episode was great. Give me more of that. I liked the first couple of episodes and was initially hooked after the first episode but I didn't really feel like there was any direction they were going into. Ultimately, I was a bit bored and didn't really see the need of this new series. However, this week's episode finally clicked with me. I think, and hope, this is where the series finally "starts".